As I’m sure is the same for most people, my main issue is my total lack of self-control. 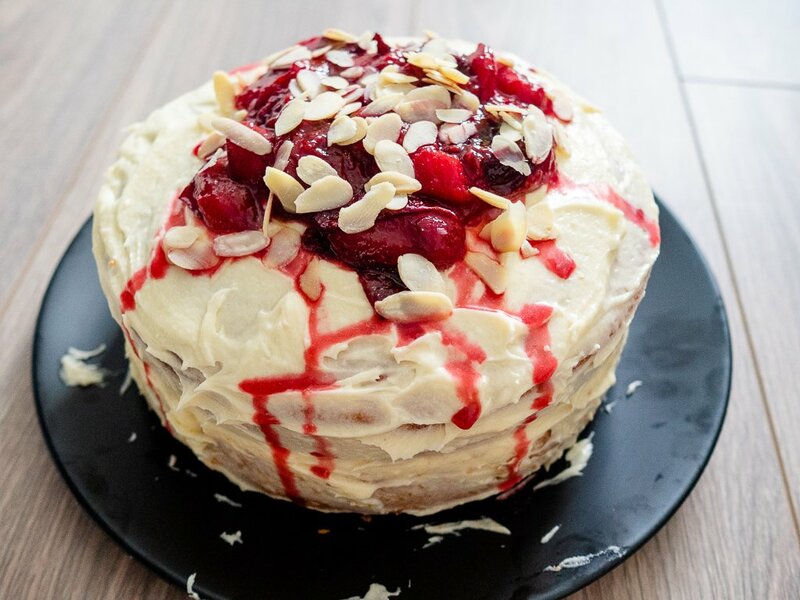 If I have made a huge delicious cake, there is zero chance I will be giving some away to friends or be able to make it last more than 2 days… if it’s there, I’ll eat it! 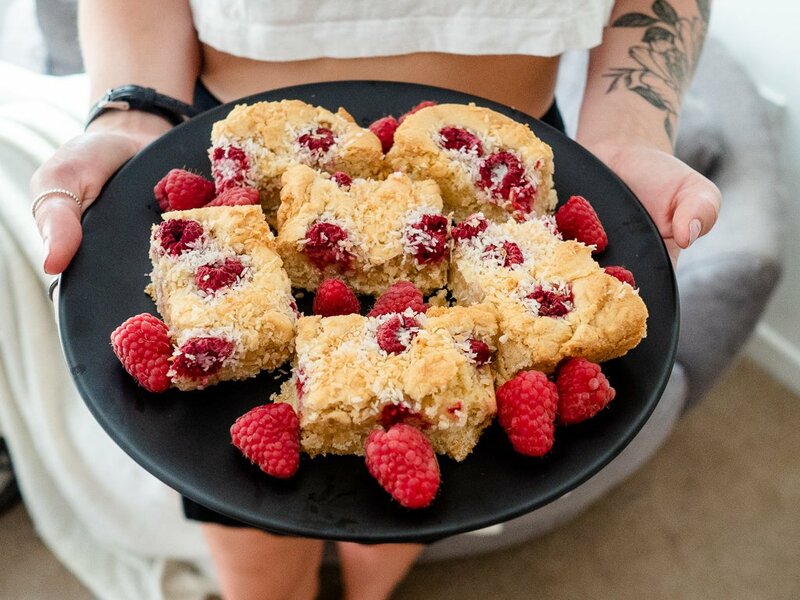 For my first recipe, I decided to try this raspberry and coconut tray bake. 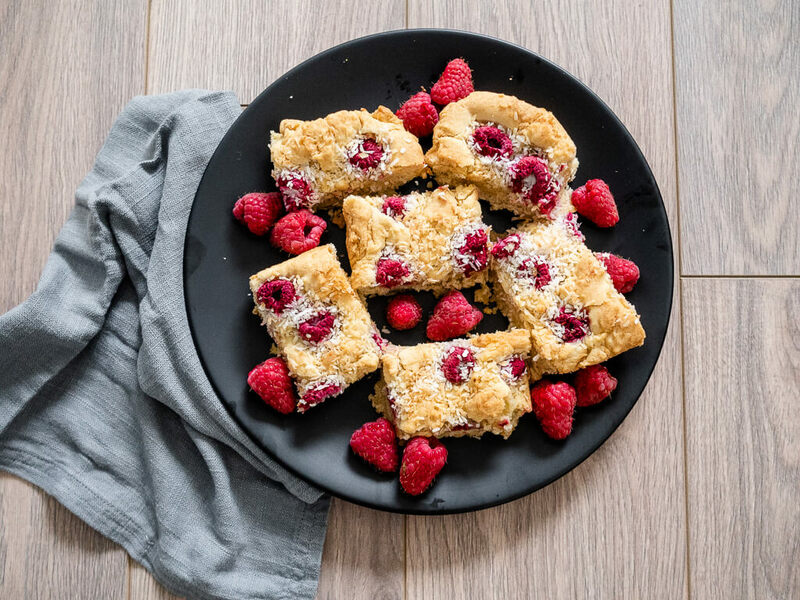 M&S has worked with some of its berry suppliers for over 40 years and is proud to work with farmers who have been farming for generations, so it was great to include some big juicy raspberries into this recipe! I made this recipe dairy free by substituting butter for vegan margarine, and it worked perfectly. 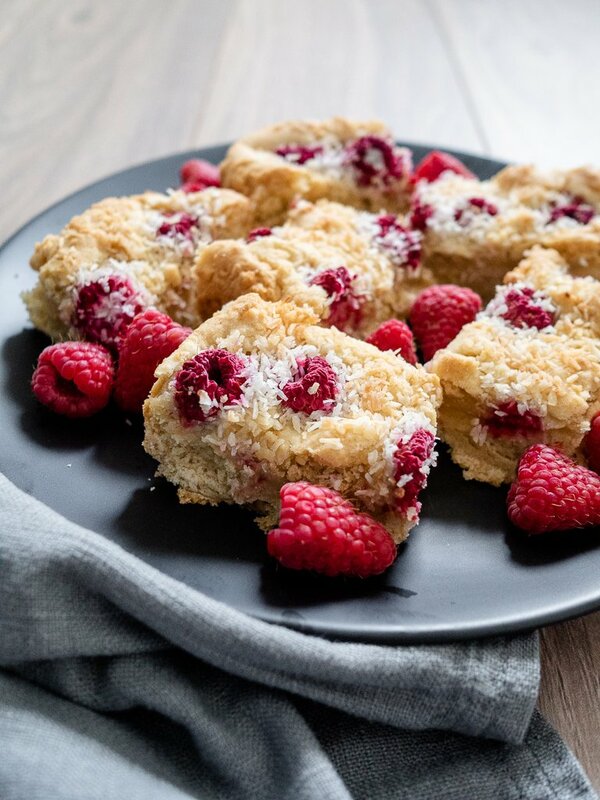 It was ridiculously simple to make too; simply mix up caster sugar, your margarine and eggs, pour them into a tray, bake and top with raspberries & coconut part-way through! They were super squishy and dense, and Alex agreed that they were the perfect consistency – a bit of chew but mostly moist and gooey, like a good brownie! These did not last the weekend in my house… gobbled up ridiculously quickly by me and Alex (who also has very little self-control). 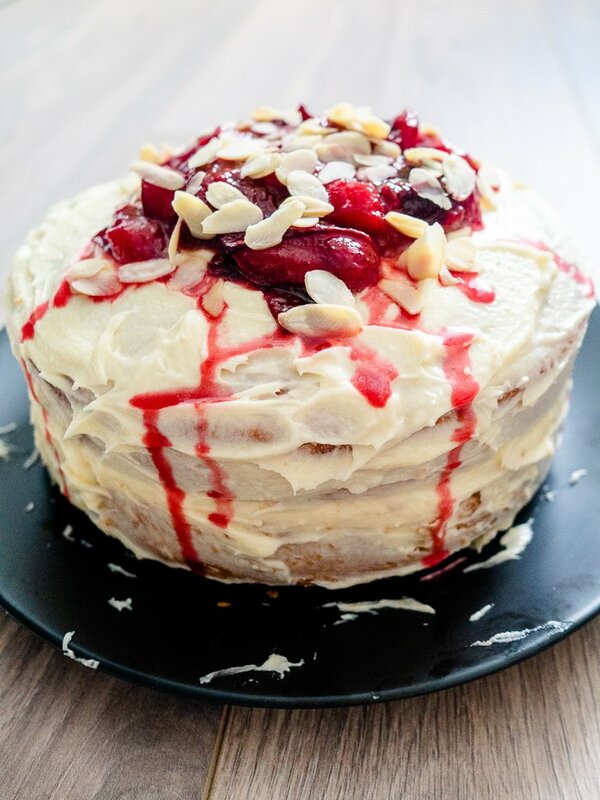 I was so keen to bake a ‘proper cake’ for this almond plum cake recipe; I haven’t made a real two-tier cake in years! Again, I substituted butter for vegan margarine, and it made for equally creamy buttercream icing, so don’t worry! This recipe was a little more complex, but still relatively quick and easy to follow along for a novice baker like myself. I also adore how fancy and put together it looks… in a ‘rustic’ homemade way, of course. Filled with ground almonds alongside the flour, and with plenty of flaked almonds piled a-top the grilled and soaked plums, the cake ended up with a delicious marzipan-type flavour, which complimented the sweet sharpness of the soaked plums perfectly. As you can imagine, this week I am feeling extremely full with cake. In fact, upon writing this I am on my second slice of the day! It’s so hard to resist when it’s just sat there all juicy looking, okay? The delicious berries and ingredients I used are available from the M&S Truro store (where I picked mine up), PLUS they’ve kindly offered my readers the chance to win a £50 gift card to spend in the M&S Truro store too! To enter, simply comment below what is your favourite cake or dessert. 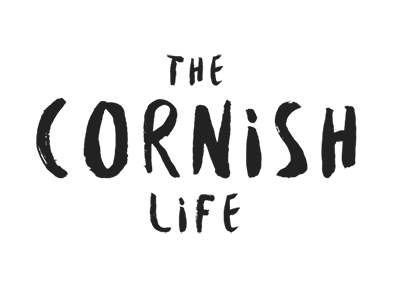 I will be selecting a winner at random on 03/08/2018, so remember to check back or make sure you are subscribed to receive comment reply alerts by email. Entrants must be 18+. 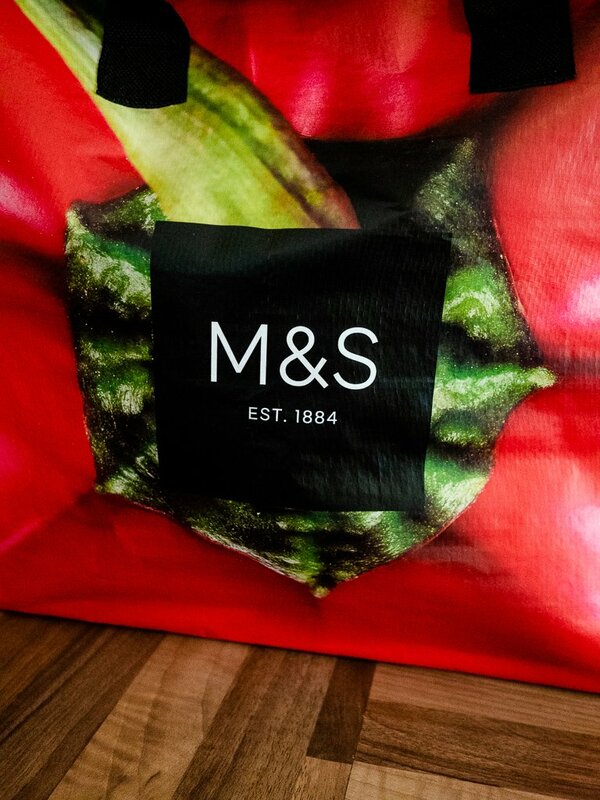 Gift card only redeemable at the M&S Truro store, and will be valid for 1 year.